Warning! Films part of Architectenweb best of AFFR are not applicable to below named reductions and exclusively available through our website. You can buy tickets online up to one hour before films start. You will find direct links to online ticket sales next to each film programme listed on both the AFFR.nl and LantarenVenster.nl sites. You can pay online by iDeal or credit card. After paying, you will receive an email with a barcode. Print this E-ticket so that it can be scanned at the entrance of the cinema room. By ordering online, you can buy a maximum of eight tickets in a time. Please note you always need to show your personal pass (Club Fountainhead, Festival Pass, Student Pass, etc) at the entrance of the cinema room.
. The box office at LantarenVenster opens every day at 11.30 am. The box office closes 15 minutes after the start of the last film. You can pay by PIN or cash. There can be waiting lines during the festival, we strongly recommend to buy your tickets online. Tickets for the opening night are online available at the website and at the box office of Theater Rotterdam. Buying a festival pass gives you free entrance to all films including the opening night. Since the opening night is sold out, you will get a 10 euro discount to you festival pass from now. 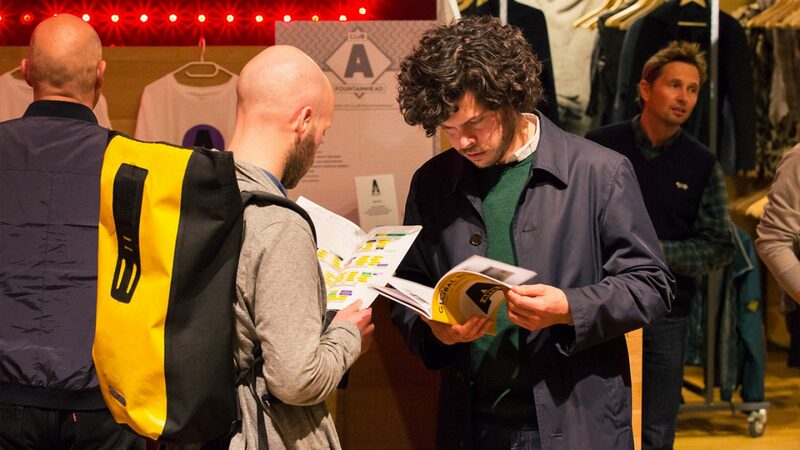 You can buy the festival pass ONLY at the AFFR online shop or at the AFFR desk at LantarenVenster during the festival. You must visit the AFFR desk to collect your Festival Pass, while showing your confirmation mail. For each screening you want to attend, you need to pick up a ticket at the LantarenVenster box office, while showing your Festival Pass. You can collect tickets from Thursday 4 October 12.00 at the Lantaren Venster box office. Enjoy five of the very best films of the festival, selected by AFFR and Architectenweb editors. You can buy this pass ONLY at the AFFR online shop or at the AFFR desk at LantarenVenster during the festival. With the online receipt, you visit the AFFR desk to collect your personal pass. Members watch online cinema PLAYTIME for free. They have a free entrance at the opening night and the AFFR Secret Preview. They enjoy a 10% discount on their tickets for the festival. You can buy a Club Fountainhead membership ONLY at the AFFR online shop or at the AFFR desk at LantarenVenster during the festival. Your Club Fountainhead pass will be sent to your home address 5 days prior to the festival. When purchasing a membership after that moment, you visit the AFFR desk with your online receipt to collect your personal Club Fountainhead pass. You can buy your tickets with a 10% discount online and at the LantarenVenster Box office as explained above. Please note you always need to show your Club Fountainhead pass at the entrance of the cinema room..